Aioli is a Provencal mayonnaise sauce based on garlic and olive oil. 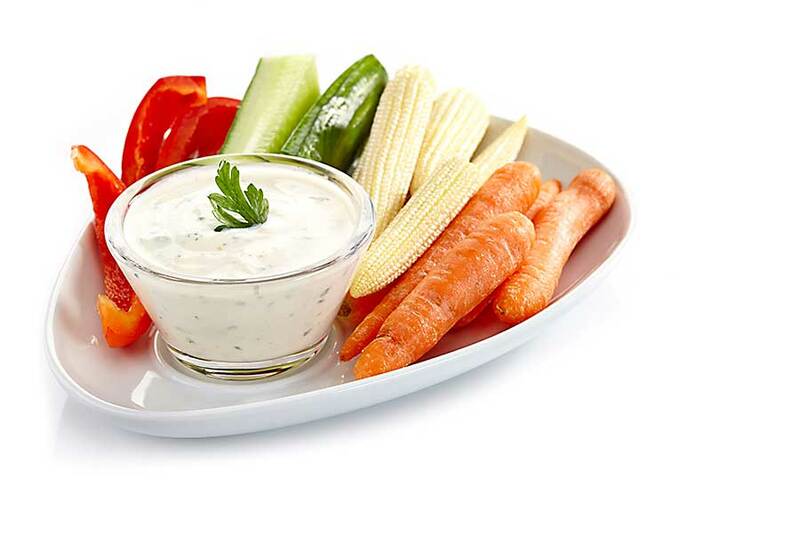 Aioli is a Provencal mayonnaise sauce based on garlic and olive oil. The sauce has a spicy garlic flavour and a wonderful yellow colour thanks to olive oil. It is an excellent addition to roasted fish, scallops or poultry. Just smear the top of the meat and bake – garlic sharpness slightly mildens and the sauce becomes creamy inside and creates a shell on top. The original version of the aioli does not include the addition of yolks or mustard. 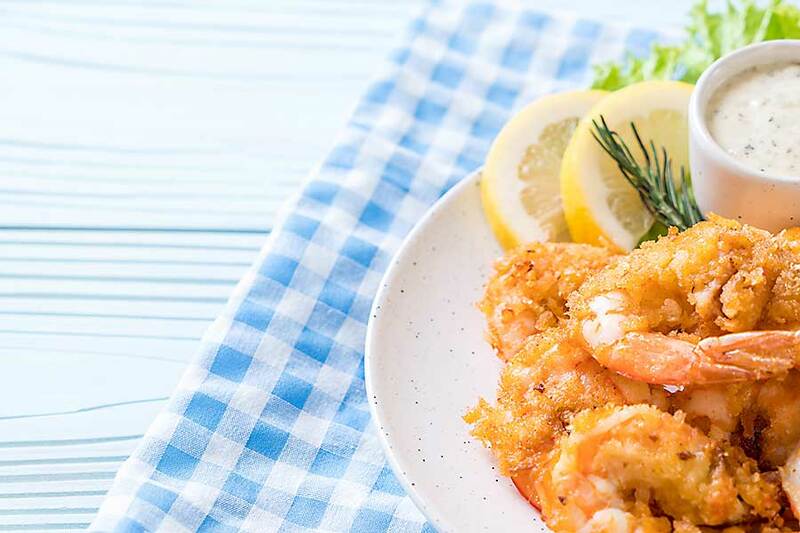 It is characteristic for the French cuisine and cuisines of the Mediterranean coasts of Spain (Valencia, Catalonia, the Balearic Islands, Murcia and eastern Andalusia) and Italy (Sicily and Calabria). 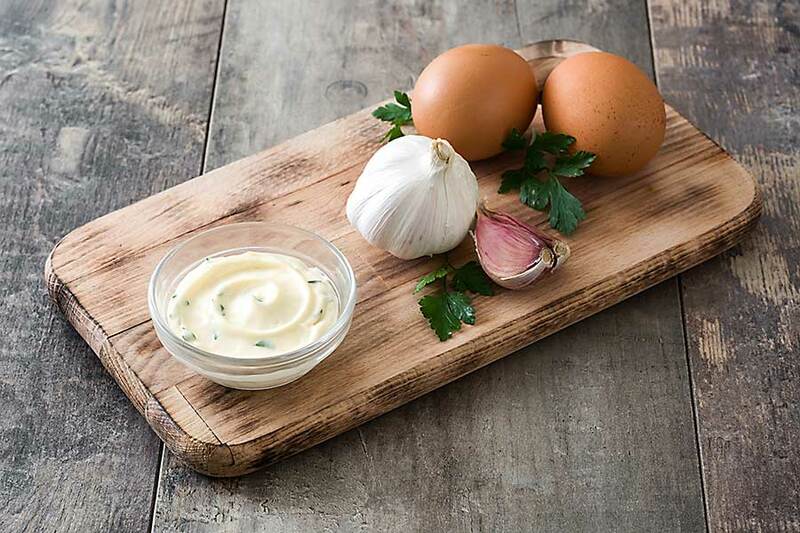 Classic aioli is made by grinding cloves of garlic with a little salt by a wooden pestle in a stone mortar. Ground garlic cloves are mixed gradually, but vigorously with olive oil, until a smooth, stiff, creamy emulsion is created. The stiffness of sauce is checked by turning the mortar with the finished sauce upside down. Classic aioli is glassy, strong, unyielding, sharp from garlic and bitter olive oil. Nowadays sauce is made with garlic, olive oil, egg yolk, lemon juice also made by grinding in a mortar or by a blender.